Six Reasons for You to Turn Within - Find the Seeker! People today often seek entertainment or distraction instead of turning within to their inner guru. Why not stop for a moment to consider all the activities, media, high-tech gadgets, temples of consumption and leisure time possibilities offered by modern life? Ponder the connections to the Web, Facebook, Twitter, Instagram, online games, virtual reality experiences and whatever else is popular at a given moment or yet to be invented. All of these may be satisfying and enjoyable. However, they are only temporary in nature – as are relationships, success and all the physical forms manifesting themselves in this material world of ours. The underlying message of spiritual teachers since time immemorial is by no means a new one. It is timeless and just as relevant for this day and age as it will be for future generations: Know Thyself and you will be free. Or to put it in other words: The Kingdom of God is within you. 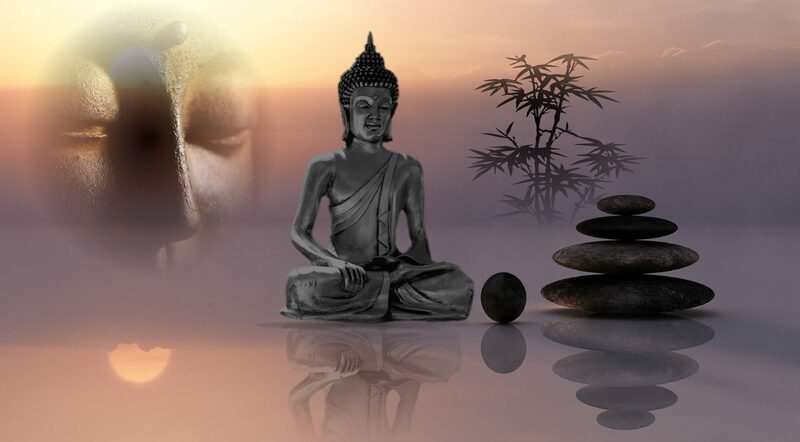 The Buddha Nature is (in) every one of us. Knock and the door will be opened to you. Searching outside of yourself leads nowhere. Nothing dances outside of our consciousness. The Kingdom of God and all space and all time lie within you. That is what you are, have always been and will always be. We dream of seeking and finding such a paradise as the legendary Shangri-La and look for it elsewhere. In fact, this paradise lies inside you, the only place you can find it. Truth can only be directly experienced by our turning within. All space and time lie within you. You yourself are the mystery which has you graciously seek and suffer until you take the journey within. Nothing in Existence is apart and outside of you and your all-encompassing Being. If the Kingdom of God is within you, then you are unconditional and Absolute. 1)Many of us are living dysfunctional lives from a spiritual perspective and see the world as the ultimate reality. And those who are engaged in “spiritual” activities often transfdorm the path into being as we really are i.e. our true Absolute Self (the most natural thing in the world) into an overly complicated, burdensome task. 2) We constantly dwell in the past or look ahead to some feared or desired future instead of abiding in the here and now, in the Oneness, the Source, Divinity, the Tao or however you may name it. We focus too often on doing, having and achieving instead of on “being. 3) We delude ourselves – and this is reinforced by many books and teachers – into believing that there are countless steps and goals to attain before enlightenment, and we have so much to “learn” before we can reach our goal, instead of realizing that we already ARE what we seek. This needs to be realized directly by turning within. 4) We falsely think we need teachers, sacred texts, intermediaries, consultants, coaches, gurus and books, instead of turning within to the Self. You do not have to re-invent yourself or turn elsewhere because it is all there within you. 5) We have not yet realizing that abiding in the Self (not one’s own limited self), which comprises our real mojo, is ultimately more breathtaking, rewarding and joyful than any other pastime, activity or recreation on this planet. 6) Finally, people are imprisoned in the illusions and delusions of their self-imposed mirror, the image they have of themselves and others have of them. Leaving your ego behind enables you to be whole and “holy”. This can only be done by turning within.